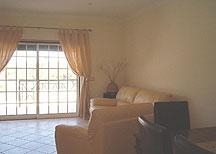 Casa Hale is a two bedroom modern villa the use of a communal swimming pool. 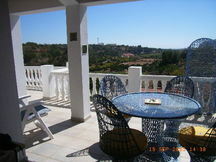 It is situated in Mouraria, just 1800 metres from the Dolphin roundabout in the cosmopolitan town of Albufeira. 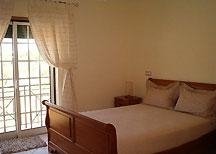 It is located in a quite area, with beautiful country and town views, less than 5 minutes drive from the beach and town centre and close to the popular town of Guia. 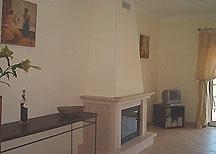 The villa is furnished to a high standard with all modern commodities. It sleeps six people. On the ground floor there is a fully equipped kitchen, shower room, spacious lounge with fireplace with "fogo montanha" log burner and patio doors opening onto a terrace with BBQ and direct access to the garden at the back of the villa. On the first floor there is a double bedroom with en-suite bathroom with jacuzzi and a twin bedroom with en-suite bathroom, both with patio doors opening onto a balcony with patio furniture. There is underground parking available. The nearest shops are less than 1000 metres and there is a restaurant / bar just 100 metres from the accommodation. The typical town of Guia, with its famous chicken restaurants is just a short drive. Just outside Guia you find Zoomarine - sea life and water park opened year round. Also nearby there is the Guia Retail Park and the Algarve Shopping with its many shops, restaurants, Ten Pin Bowling and an hypermarket. 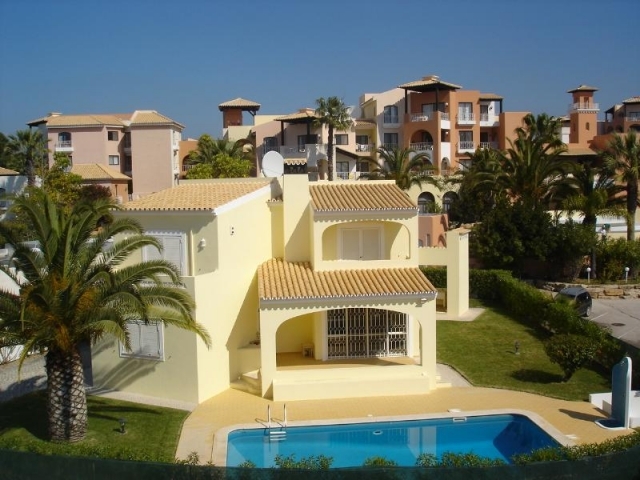 The nearest Golf Courses are the Salgados situated to the west of Albufeira and the Balaia and Pine Cliffs situated to the east. There are many beaches to choose from within a 10 minute drive. 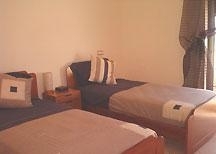 Car hire is recommended when staying in this accommodation although there is a circuit bus service approx. 800 metres from the complex. Cot and high chair can be supplied at nominal fee. Please inquire at the time of booking. Bicycles can be hired locally. We will be pleased to arrange transfers from and to the airport or deal with car hire arrangements, please inquire at the time of booking. Twice a week maid service. Changeover day is flexible. Beach and pool towels not provided but can be hired. We will be pleased to arrange a welcome food parcel, please inquire at the time of booking. We have local representation and provide 24 hours emergency service. A refundable damage deposit of £150 is payable with your balance. This will be sent back to you within one weeks after you return if there is no damage to the property. 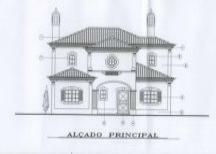 Please quote reference: a4m: 331 villa "Urbanizacao Quintaloes"